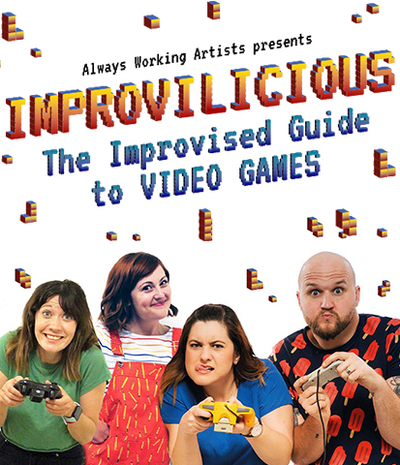 The Improvilicious crew return to the Melbourne Town Hall for the Melbourne International Comedy Festival in a hilarious show all about... video games. 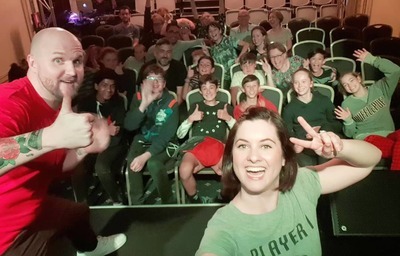 You are invited to switch off your PlayStations, Xboxes & iPads and Level-Up to the Powder Room at the Melbourne Town Hall to enjoy a 50 minute improvised guide to video games. Let's just say tough that this intimate show isn't all about Pac-Man and Pokémon, Mario and Minecraft. Two Players take you on a hilarious journey into your own unique video game that you are very much part of. Won't tell you any more than that, mainly because each show is completely different to the next; that's why it's Improvilicious! You'll have to go and see for yourselves. Suited to children 8 yrs plus, however our 5yo enjoyed himself just as much as his older bother in today's Improvised Guide to Video Games.